While we were in a very small, very remote village called Kikumini, we came across a man they called “Matata”. Matata means “trouble” in Swahili. 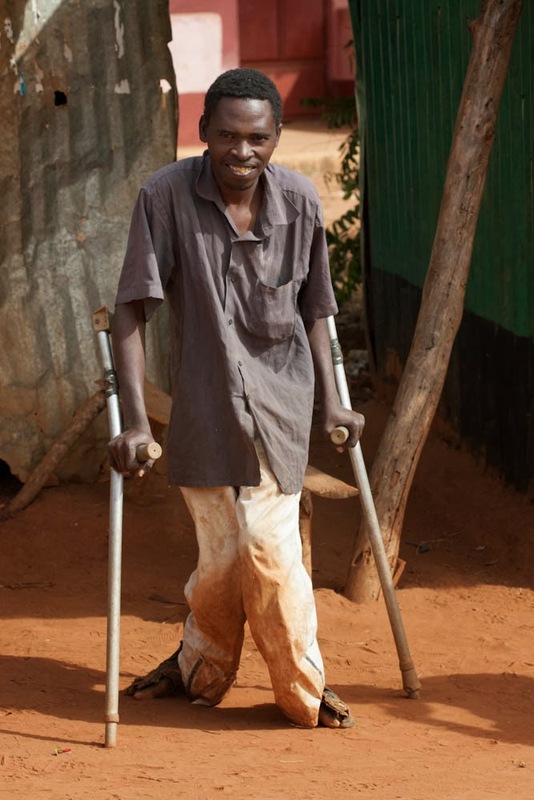 His mother gave him this name because his legs were crippled from birth. He had a very heavy and slow bike that limited his mobility. 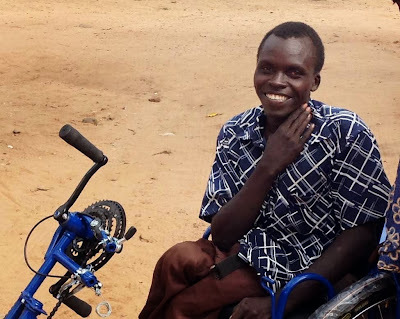 We shared Matata’s story on Facebook and a friend in the US gave the funds to purchase a new lighter weight hand cranked tricycle. 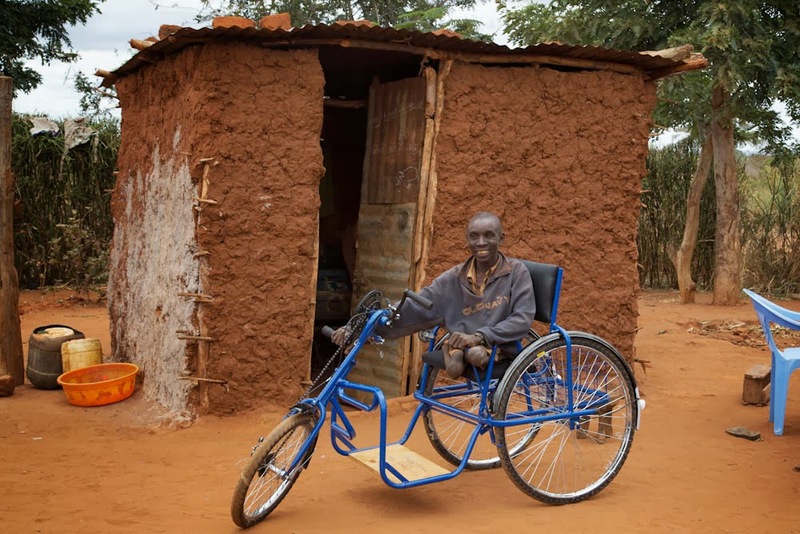 When we presented the bike to Mata I remembered a man in a wheelchair we had met in March 2012 while distributing food and clothing in a drought stricken region. We didn’t get the man’s name. When I mentioned this man in a class I was teaching one of the pastors there said “I know that man.” Wow! I love the way God puts things together. The pastor took us to Munyao Mweu and we got re-acquainted. I was very flattered that Munyao remembered me. He got very excited when I asked him if he would like to have a tricycle that would significantly increase his mobility from the homemade contraption that he had been using. Thank you Jesus that He puts things together for us to be able to deliver the Matthew, Chapter 25 gospel (verses 31-46) to this remote region in Africa that is almost always overlooked. We would love to do the same for Matolo Mbithi, Mutua Muine, and Kenedy Muli shown below. Your gift of $300 will change the live of one of these men. Thanks for helping us minister to the needs we see in Kenya. As we prepare to return to the US in October our minds and hearts are full of the things God has done in and through Burning Plow Ministries in 2013! We want to share the accomplishments and the heart aches that are moving us to expand our work here in Kenya in 2014! 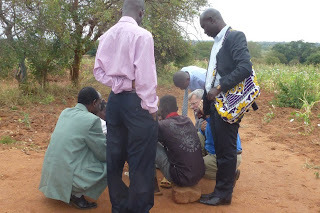 We want to reach more people in some of the more remote regions of Kenya. God is able and we are willing, we just need the means to go! We are asking our friends and relatives to consider letting us share what we are doing with your friends, neighbors, church group or civic groups. We want to share our experiences so others can join us in blessing the people of Kenya. We will be in the US and available from October 25th until Christmas. You can message me on Facebook. Take a look at our blog at: cameronsinkenya.blogspot.com to see just some of what we have been able to do with the help of partners over the last two years. We would love to meet one on one with anyone who wants to listen! Helping the people in Kenya is our passion and we never get tired of talking about it! We are also looking forward to some good Texas food! It was such a privilege for me to be able to preach in the village of Mtito Andei in the church pastored by Shadrack Mkau. 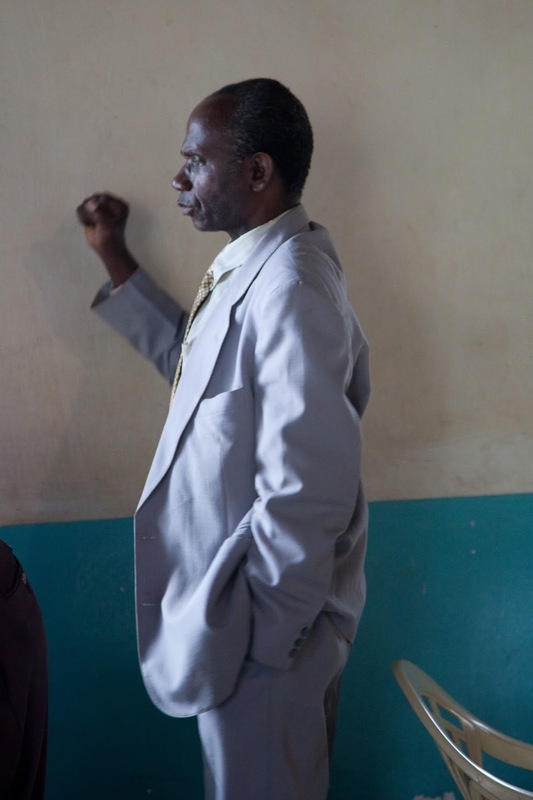 Several years ago, Shadrack went to the country of Burundi to plant churches. There he was imprisoned for more than 1 year because of his zeal for God. His accusers even tried to take his life deliberately exposing him to malaria and then withholding treatment once he got ill. Because of the prayers of God’s people in Kenya, he was miraculously released from prison. 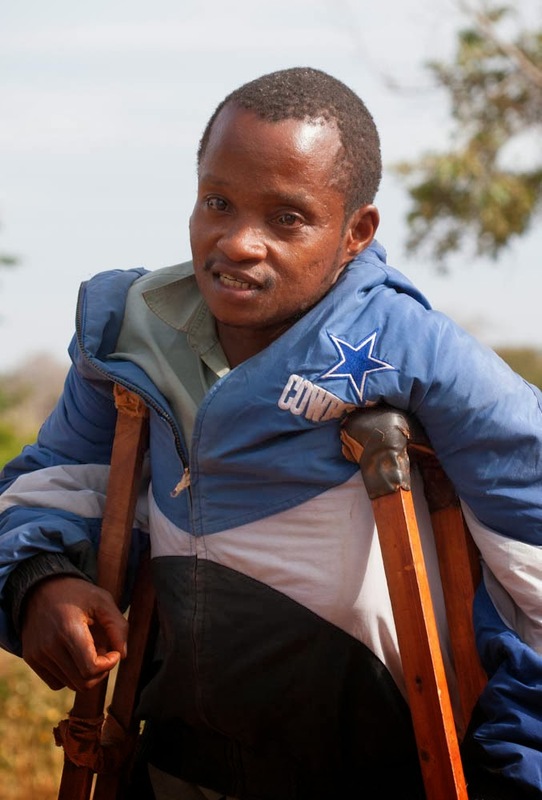 Back in Kenya, Shadrack was offered a high position in his church denomination but he refused so that he could remain with his congregation in Mtito Andei where God had called him. It was hard to contain the excitement that I had in being able to speak at his church but something happened that overshadowed everything else. We arrived early and so Shadrach took us for a walk to see the school he had under construction. As we passed on the edge of a bean field we saw 4 young men sitting in a circle. On the ground between them were playing cards and money. It was obvious that they were doing a little gambling. The Holy Spirit spoke to me. He told me that I should greet them and share the good news of Jesus Christ, which I did. All of them prayed with me the prayer of faith to become followers of Jesus. I have also seen others whose faith takes root in their lives, changing their lives and producing fruit. When Jesus healed the 10 lepers, only one returned to give thanks. Later that morning, one of the men came to the church service, stood in front of the congregation, and testified of what God had done for him. I rejoice with all of heaven with these men that have found faith in Christ, but my rejoicing is even greater with the one who gave public testimony of his new life in Christ. In January we were introduced to a young man we know as Emmanuel. I wrote about him in the January 31st blog “Sufferer” to “God With Us”. See cameronsinkenya.blogspot.com. 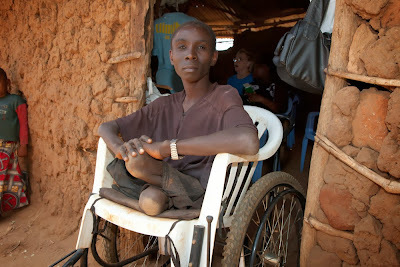 When we visited Emmanuel’s home in April. 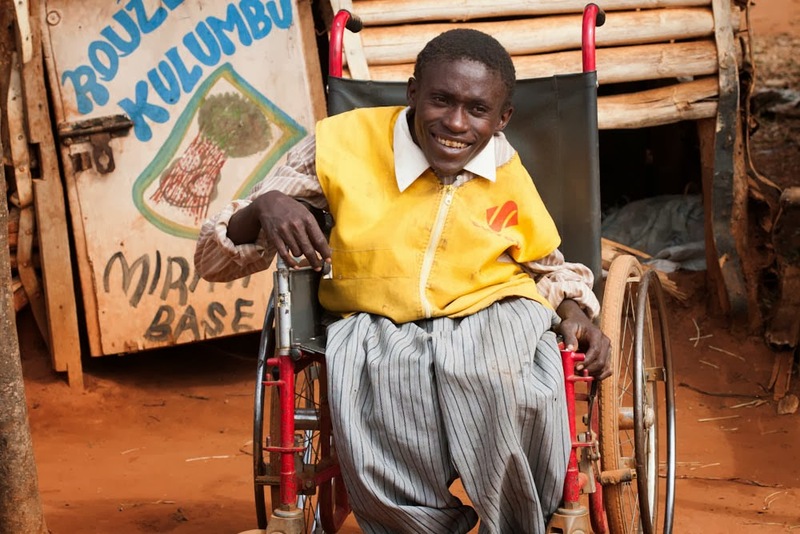 School was in recess and Emmanuel had left home to visit family in another village. Their living conditions were sparse. There were no beds, they sleep on the concrete floor of a storage building. We delivered beds for the family and before leaving we arranged for a chicken coop to be built and delivered along with chickens and feed. We are glad to report that when we returned in August we found the chickens alive and well and providing eggs for the family. 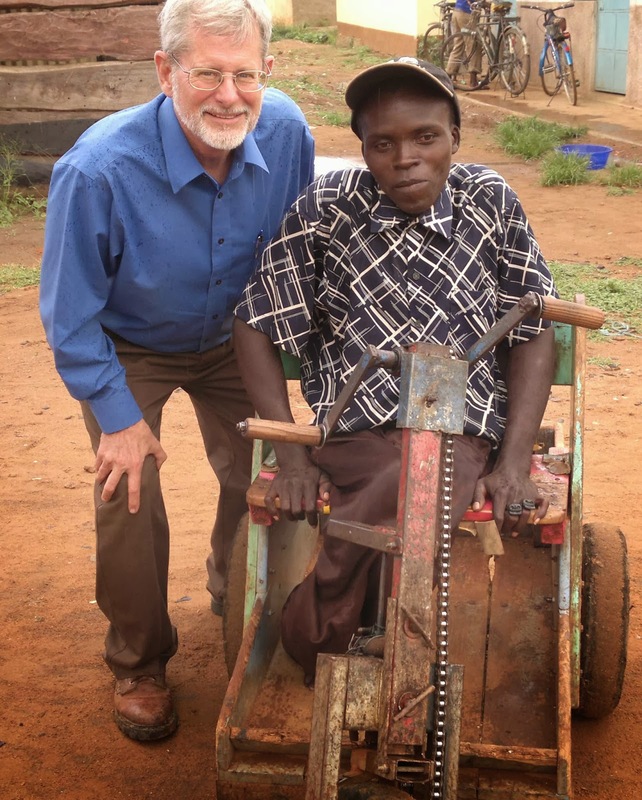 We check on the family each time we are in Kibwezi and Pastor Shadrack and his church continue to assist. Unfortunately, Emmanuel has returned to living on the streets of Kibwezi. We don't see this as a failure, as we continue to help his family. Please continue to pray for Emmanuel. We will continue to bless those who God show us need our help. 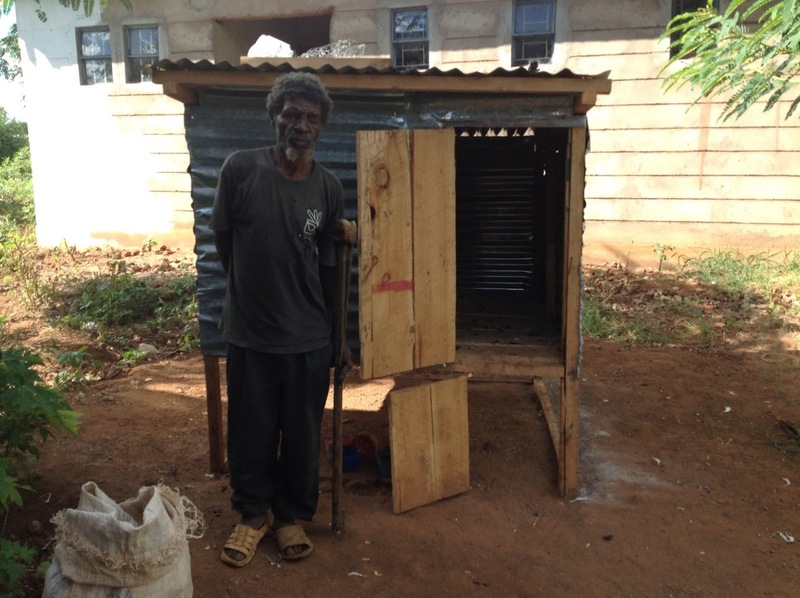 Pray we will have funds to continue to bless the less fortunate here in Kenya. 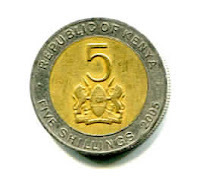 Five Kenyan shillings is currently worth about 5.9 U.S. cents. It’s not much. But it brought tears to my eyes in a rural church here in Kenya. 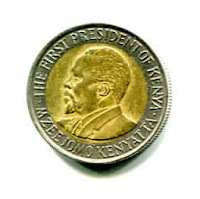 We realize that when a typical Kenyan makes less than $5 per day, have to feed and clothe their family, buy water, pay rent, and pay school fees and buy uniforms to send their children to “free” public education, there’s very little left. Being able to own a Bible in circumstances like these is a real luxury. Thanks to the generous contributions from our ministry partners in America, we purchase Bibles for distribution here in Kenya. We delivered a few Bibles to a pastor in the village of Chuluni to share with his people. During the church service, the first man to ask for a Bible was a visitor from another area. The pastor decided to give the man one of the Swahili Bibles. After accepting the Bible and with tears in his eyes, the man said he had been praying for years for a Bible. He was so grateful that he told the congregation that he wanted to participate in buying a Bible for someone else. He didn’t have much, only 5 shillings, but he marched right down to the front of the church and placed the coin on the table in front of me. Five shillings. A sacrificial gift from the heart of a man in a remote village in Africa. What a blessing. We have distributed all the Bibles we have. Bibles bring life to the believers and new converts. Let us know if you would like to partner with this man in getting more Bibles for Kenyans.